Features - Mavenseed - Create your own online training business. Mavenseed is your one-stop shop for selling digital content. 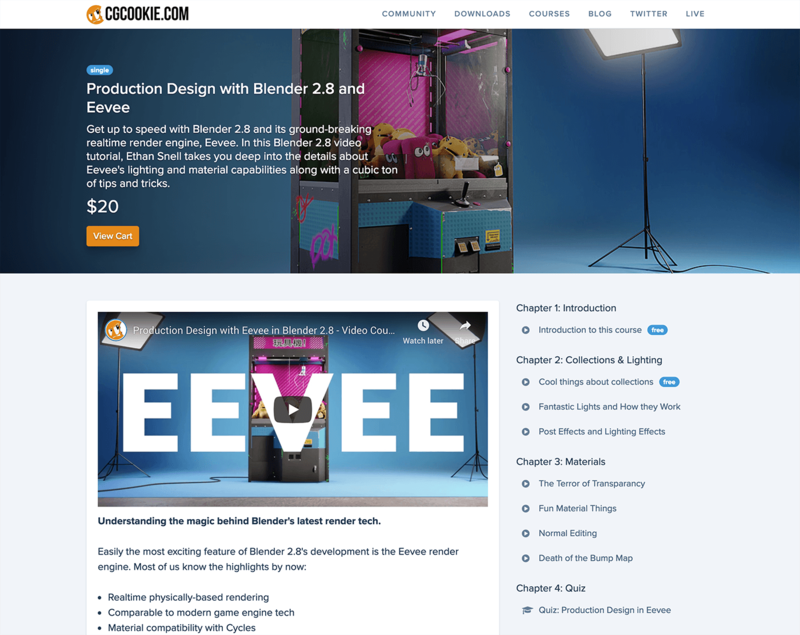 Create online courses with chapters and lessons, using an intuitive and simple drag-and-drop course builder. Ensure customer engagement by adding a variety of interactive lesson types. Supports any number of video or text based lessons. Add an exercise to a course, and your customer will be prompted to submit their work to that exercise. You can then pass or fail the submission, while providing constructive feedback. Rest easy knowing your customers are getting the most out of your course, by adding quizzes to a course. Attach any number of files to the course. Track your customers progress through courses with integrated progress tracking. 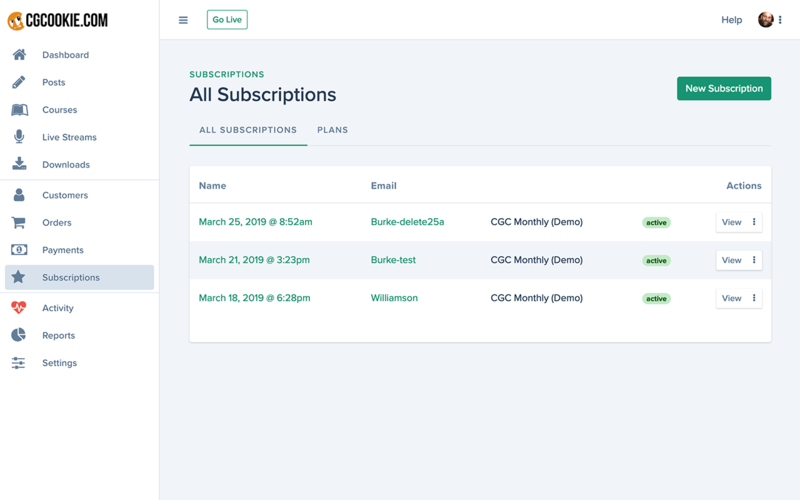 Create membership plans that your customers can subscribe to, all on your own terms, with fine-grained controls over what plans have access to what content. Payments are handled directly through your own Stripe account. No extra fees other than what Stripe charges, which is a standard 2.9% + $0.30 per transaction. Supports daily, weekly, monthly, or yearly subscription intervals. Customers can easily upgrade, downgrade, cancel, or resubscribe with you having to do anything at all. Get in-depth insight into your recurring subscriptions with detailed revenue and membership reports. And, have peace of mind knowing what's around the bend with data forecasting and anomaly detection. 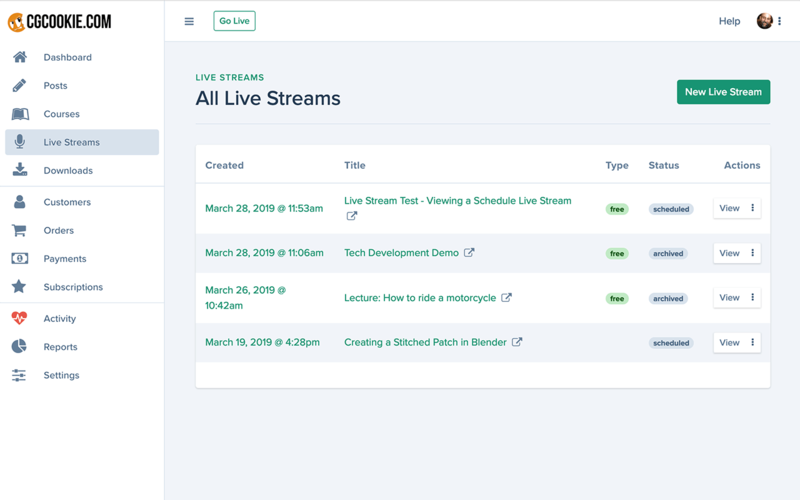 Sell access to customer only live streams, then go live from any device: desktop, iOS, Android, and more. All under your own brand. Integrates with the free Open Broadcaster Software (OBS). Engage your audience with real-time chat. Streams are automatically recorded and are available immediately after the stream. 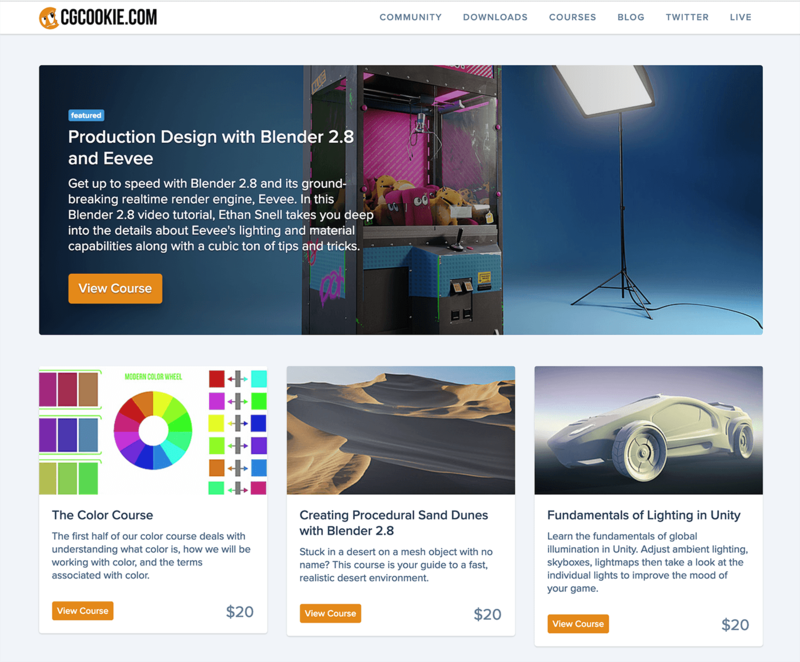 Whether you're a piano teacher, or a blender artist, you can create and sell anything with Mavenseed. Here's a basic demo of what Mavenseed can do.